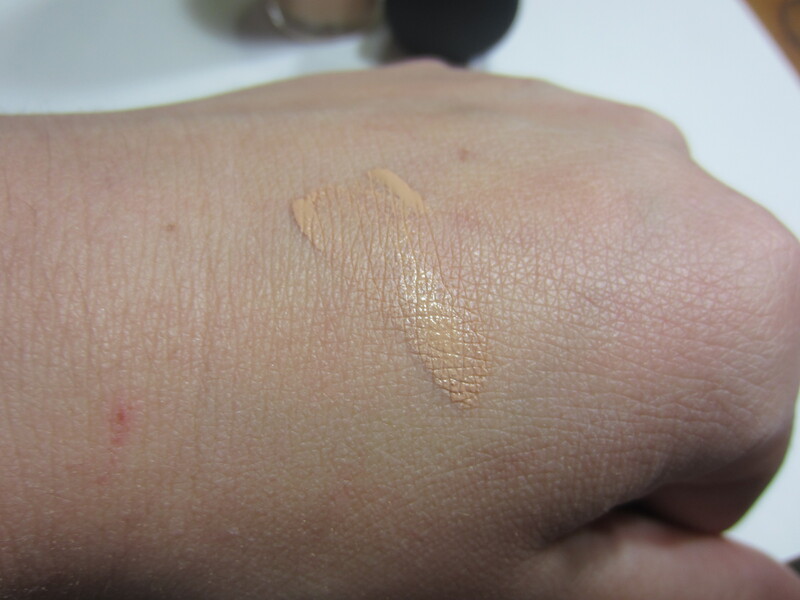 Mac Studio Fix Fluid Foundation Review! I went to my very first CCO a few weeks ago. I have always heard amazing things about cosmetic company outlets, which are owned by Estee Lauder, and was always depressed that there wasn’t one located near by. Well, it goes to show that I don’t do enough research because there is one about 45 minutes away, and opened up a few years ago. I had to plan a day trip out there and ended up bringing home more products than I care to admit. I purchased all Mac items, as my Mac collection is seriously lacking for someone who purports to blog about makeup. I decided to try out my very first Mac foundation, the study fix fluid! I picked up the color NW18, without the advantage of being color matched. I tried out the tester in the store and it looked like it would be a close match. Well, lesson learned, always get color matched or have a “realistic” view of your skin tone. Apparently I think I’m much tanner than I actually am because this was a smidge too dark. Even though it is a tad too dark, I wore it anyways and paired it with a lighter powder. What I like: I like the coverage. In the fall and winter I like a more full coverage foundation, and this definitely is a full coverage foundation. I also like how fast this dries on my face. This foundation is also very blendable and can be worn a little more sheer for a medium coverage, or normal for a full coverage. I also love that it dries to a matte finish. It lasts a long time on my face as well, a good 6-8 hours without a primer before I notice that I need to reapply powder to control my shine. What I don’t like: The smell, which is a very strong “foundation” smell. 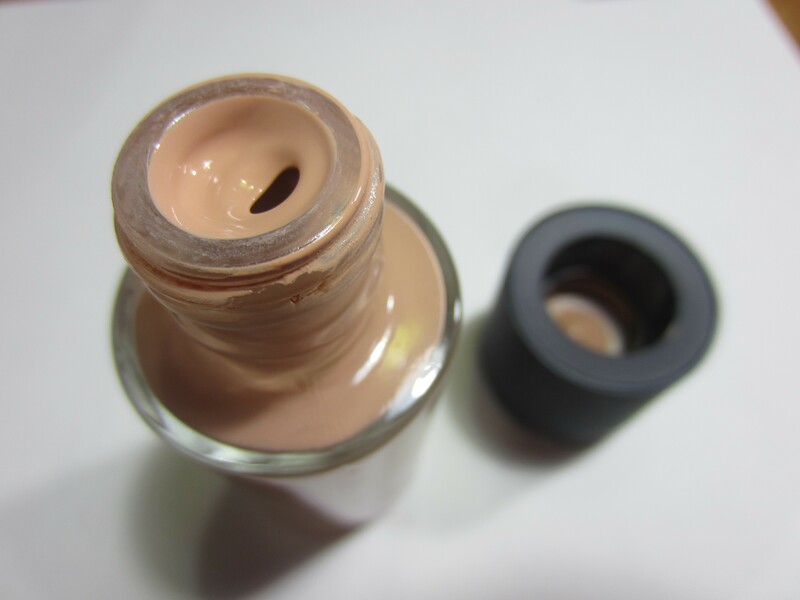 Some foundations have a distinct smell, like the Revlon Color Stay, and this one has that smell. This foundation is also is very heavy. I don’t know if its because I’m use to wearing tinted moisturizers and BB creams, but this seemed really heavy on my skin and I could feel it sitting on my face all day. Overall, I like this but don’t love it. I love the full coverage and matte finish, especially for this time of the year. But its hard for me to comfortably wear this without feeling like I’m wearing a lot of makeup. What do you guys think? Have you ever tried any Mac foundations? If so, whats your favorite? Try mixing it with a bb cream! I do that with most heavy foundations! I’ve never tried a mac foundation! Haha I feel your pain, I just can’t stand thick foundation on me! I hardly have any MAC in my makeup inventory either. I bought one foundation that I absolutely hated (I think it was Select SPF), it was too watery but in the same purchase I bought the Mineralize Skinfinish Natural which I love and still use – such a light powder foudnation or setting powder. i still want to try the MSF natural. everyone raves about it and it seems like such a staple. thanks for commenting mariko! a CCO is a cosmetics company outlet. it is basically an outlet store for high end makeup like bobbi brown, estee lauder, mac, clinique, and a ton more. i know a lot of them carry YSL but mine doesn’t 😦 i hope this helps!